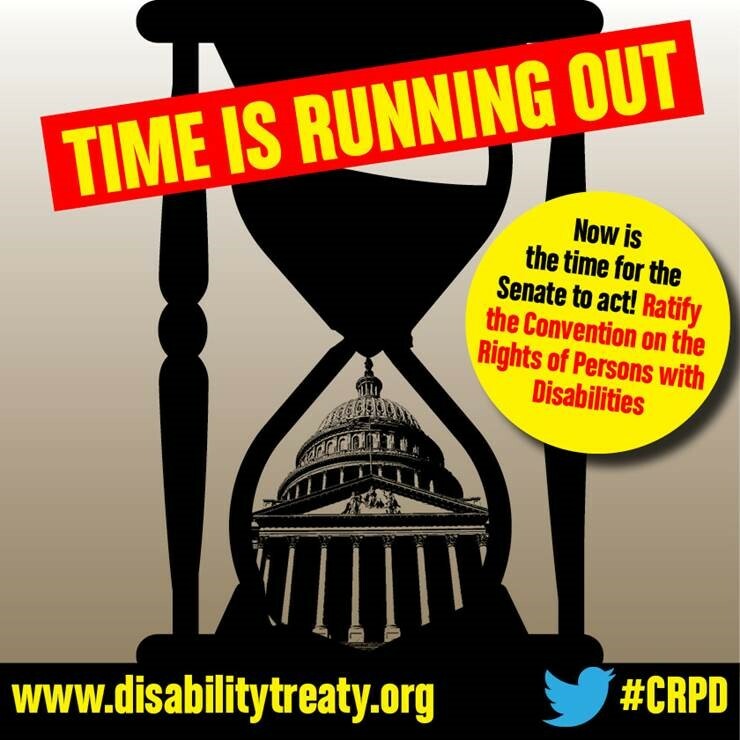 Time Is Running Out for the CRPD: The Senate Needs to Hear from You Now! 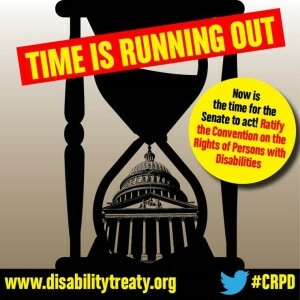 You are here: Home / U.N. Convention on the Rights of Persons with Disabilities / Time Is Running Out for the CRPD: The Senate Needs to Hear from You Now! Thank you for all you did during August recess. Today, the Senate returns for a two week work session and they need to continue to hear from you! Let your Senator know the UN Convention on the Rights of Persons with Disabilities (CRPD) needs to be ratified now – before the end of September! The opposition is generating calls. Your Senators need to hear from you directly to understand that our community supports this issue. We will not wait any longer: the time is now! Call now. Call often. Spread the word using USICD’s social media guide below, or visit www.disabilitytreaty.org to take action! Make a sign – it can be a simple piece of paper. Write down that you support CRPD and (if applicable) why. If you have a personal story, use it! Example: I support CRPD because I want my sister with a disability to be able to travel abroad! Take a picture of yourself holding up the sign. Tweet or Facebook the picture (along with one of the sample tweets below) using the hashtag #CRPD. You can also tweet at your Senator! Find Senator Twitter IDs (PDF). Get your friends to do the same! Image descriptions – [individual] A woman holds a sign to the camera that reads “Senators Cardin and Mikulski – Vote YES on CRPD in 2012” [group] Thirteen students at Gallaudet University pose for a group photo with Senator Harkin; each is holding a sign with various messages supporting the CRPD.